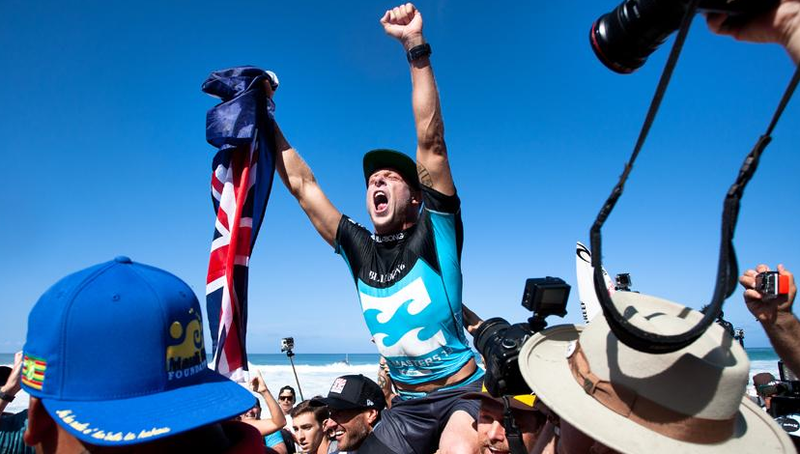 Mick Fanning Crowned 2013 ASP World Champion. Mick Fanning has won his third World Surfing title on the closing day of the tour season at the Pipe Masters in Hawaii. All three titles have come in a six-year period for the 32-year-old Australian with a thrilling victory over fellow Australian Yadin Nicol in the Quarter-Final. Fanning was only required to reach the Semi-Finals of the round to see off 11-time World Champion Kelly Slater, which he did on his final wave of the Quarters with a score of 9.70. He later bowed out in the Semi-Finals to local surfer, John John Florence before Slater went on the win his seventh Pipe Masters 16.37 to 15.90. This entry was posted in More Sport and tagged ASP, Australia, Billabong Pipeline Masters, Fanning, Hawaii, John John Florence, Kelly Slater, Masters, Mick Fanning, Surfing, Yadin Nicol on December 15, 2013 by bradeveleigh.